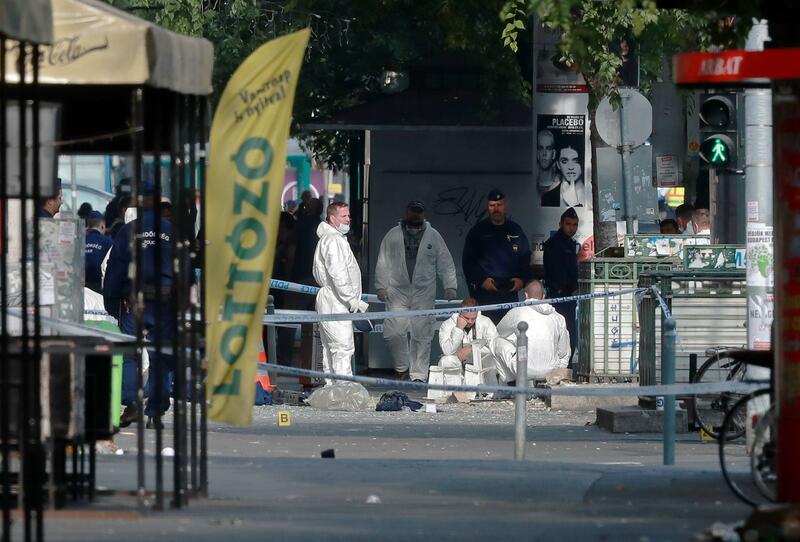 BUDAPEST, Hungary - Hungarian authorities are hunting for a man who set off a homemade fragmentation bomb that seriously wounded two officersin central Budapest, the country’s police chief said Sunday. Papp didn’t say why the suspect wanted to harm police officers. But he didn’t rule out terrorism, one of seven working theories established by investigators in the case categorized as attempted murder. Papp offered a 10-million-forint ($36,700) reward for information leading to the capture of the suspect, believed to be 20-25 years old and 170 centimeters (around 5’6”) tall. “We will find the perpetrator and discover his motivation,” Papp said, adding that several hundred officers and investigators were working on the case. Several streets and an important avenue near the site of the explosion were still closed to traffic late Sunday as investigators searched for evidence. Papp couldn’t say when they would be reopened.